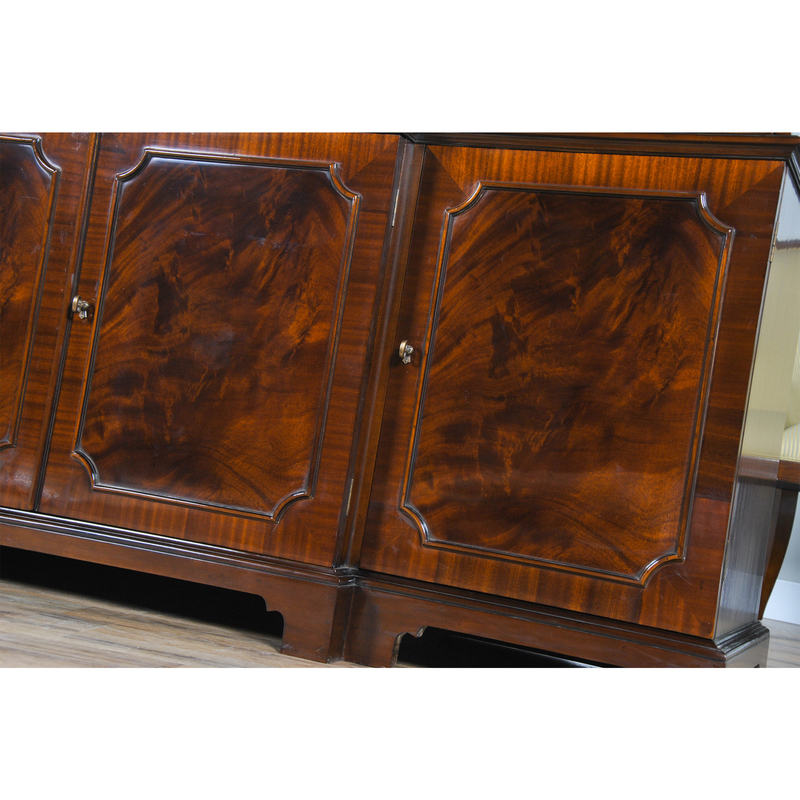 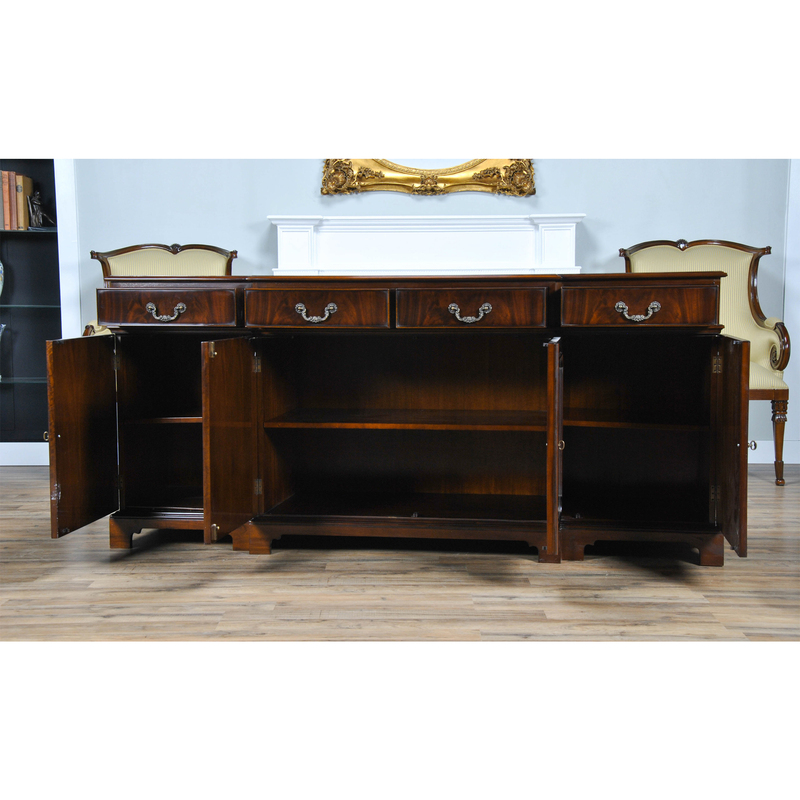 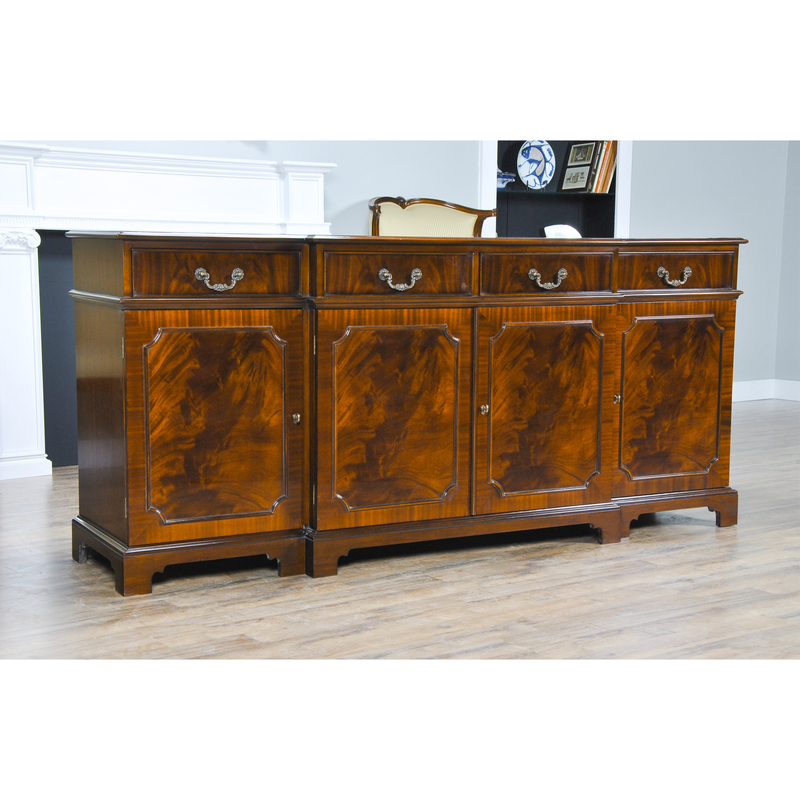 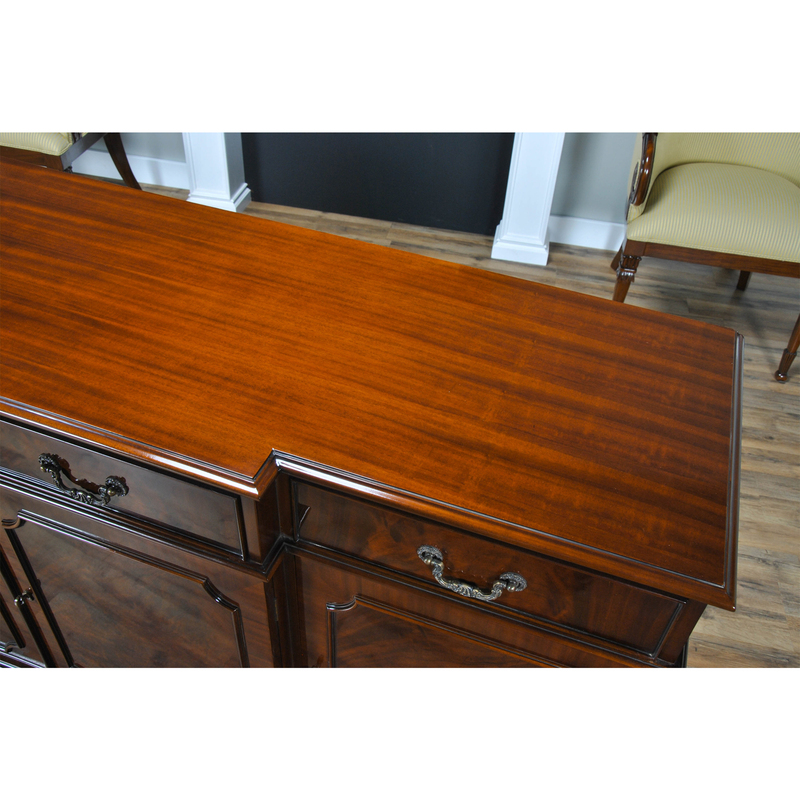 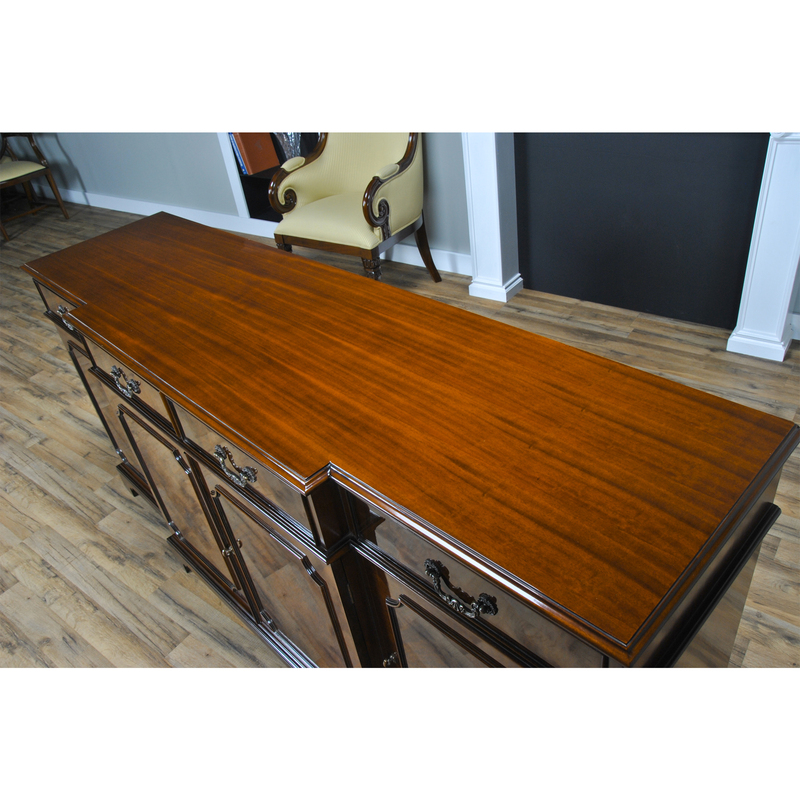 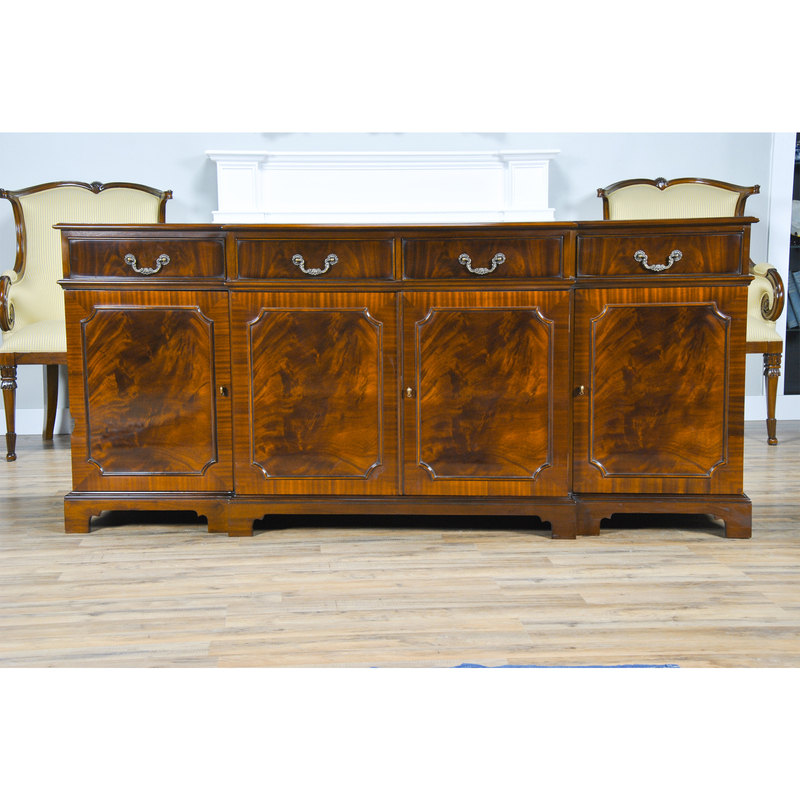 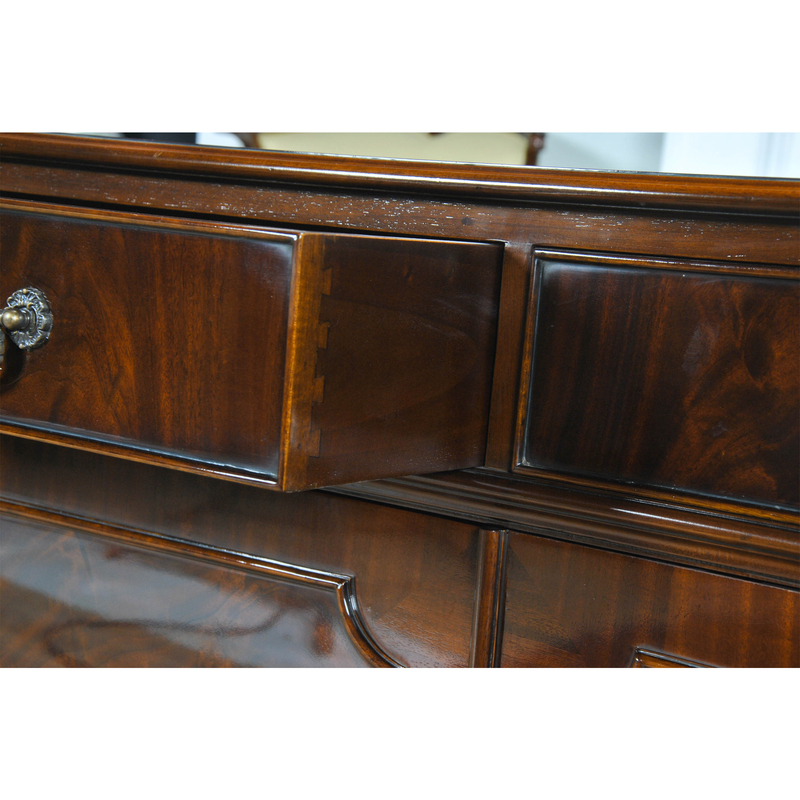 This Mahogany Sideboard or buffet from Niagara Furniture has a great amount of storage space. 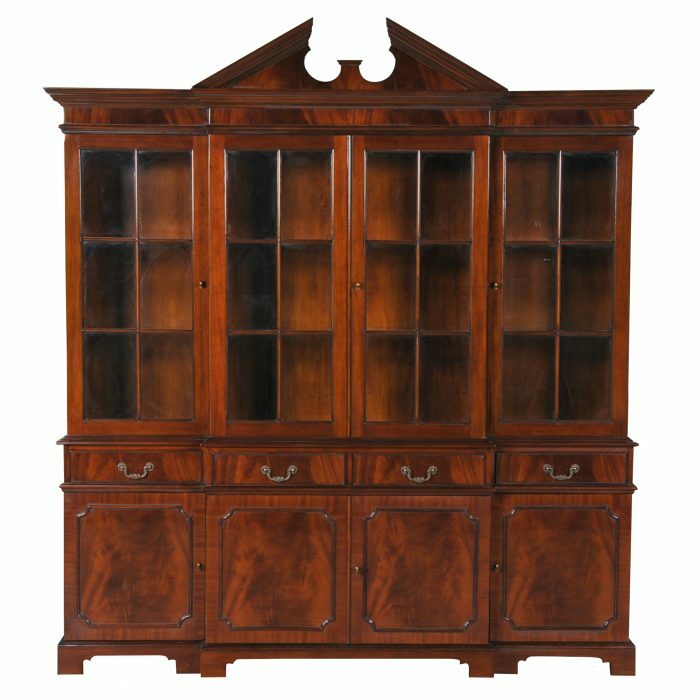 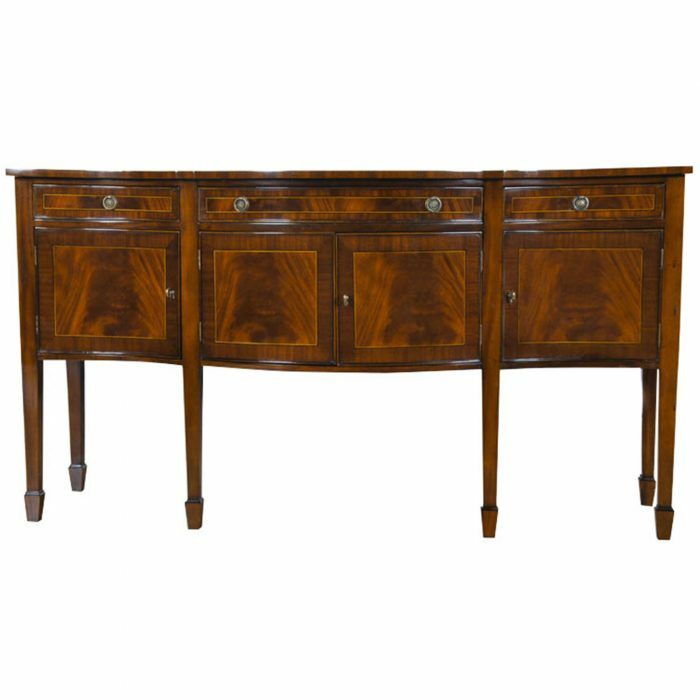 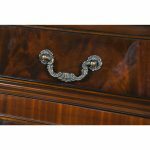 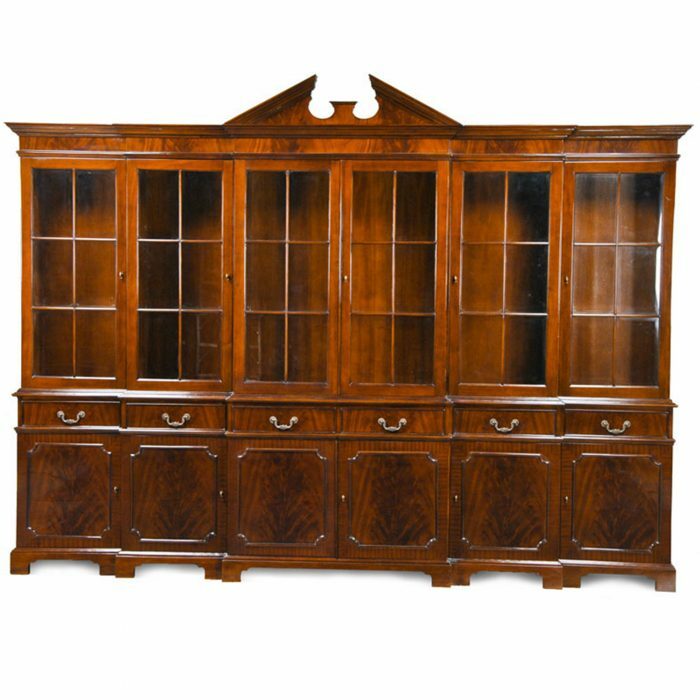 Produced using the finest quality veneers and solid mahogany woods this item is a perfect compliment to several of our breakfront china closets which can be seen below in the related products section of this page. 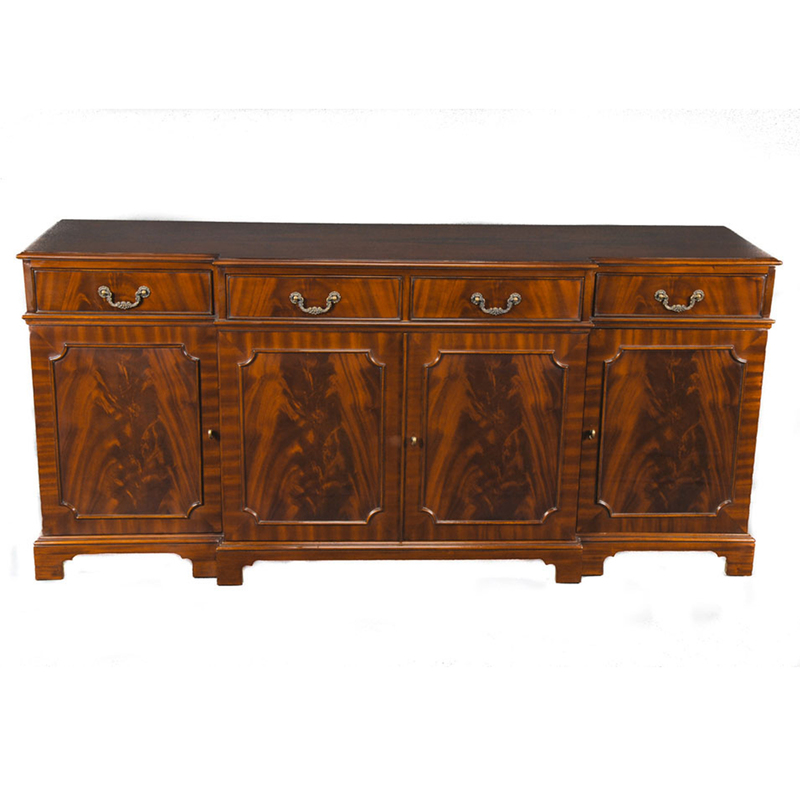 The bank of four dovetailed drawers align over the four figural veneered doors which conceal shelved storage areas, all resting on the shaped bracket feet. 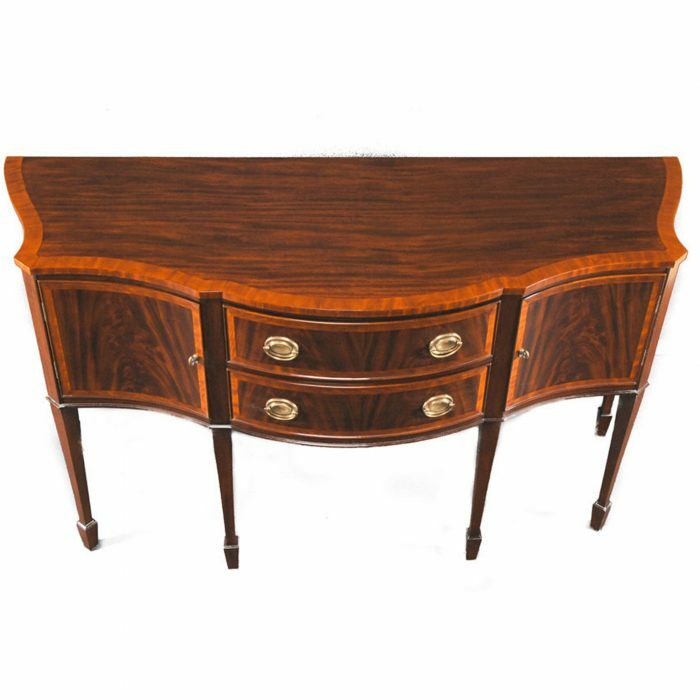 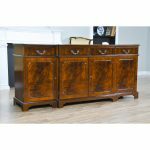 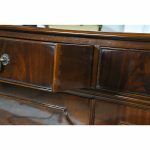 Finished in a beautiful brown hue the Mahogany Sideboard has a straight lined and sophisticated look that will never go out of style. Designer style solid brass hardware complete the look of our mahogany sideboard.